Its ridiculous! I understand people maybe overhyping him or having unrealistic expectations, but the way some people talk about him...hes a 19yr old kid...who needs enemies eh! Still not convinced about a kid who has just turned 19 and who has only been at the club just over a year, yet already played 29 games scoring 5 and assisting 5. Talk about giving the lad the a chance...jesus christ! I traveled to every away European game, including the qualifiers, and I still want him to play the last couple of games. Yeh I read the post wrongly, I thought it said he would be key to our success, not his sale. 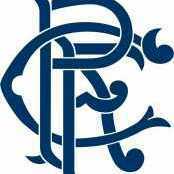 Either way, we need to be looking at investment regardless of whether Morelos is sold or not. If we spend the same as the last couple of season (£10m-ish) then I would be happy, any money brought in from player sales could top that up, but we should be looking to spend £10m regardless of players being sold. That is who I would consider to be our most valuable asset but I also think its a certainty that he will be sold in the summer! Who is our most valuable asset? Because in my opinion, the player I consider to be our most valuable asset is highly unlikely to even be at the club next season, never mind key to our success! I didnt read this correctly - you said because his sale is key to our success - which although I dont think its key to our success, I think he will be sold. If he does then something needs to be looked at, hes played 2 games a week a good few times since joining Bury! Who said anything about "spunking" another 3 year contract? He has a year left, he has shown promise in the time he has been here, the management team know him better than anyone, the management team rate him, but you think it would be a waste of money? We have nothing to lose by giving him another pre-season and next year to earn a new deal. I don't think I have ever heard anything so absurd...most people who have seen him playing can see he has ability and a very good pedigree, I would even say that he was thought of higher when Gerrard wasnt at the club, so I cant work out how anyone would treat him favorably because he looks like Gerrard (which he doesnt). As for him not contributing, how is he supposed to contribute when he is injured? The worst result in Europe? I would suggest might be the 2-0 defeat by Progres? In which he played 70odd mins, he came on in the 70th min as a sub for Niko Kranjcar in the first leg, but played the majority of the second although I don't know how those minutes can be used to judge him? Especially when he didnt do anything wrong at either goal. He has shown for me in the games he has played, especially Hibs last season, that he is more than good enough to play for us at this level. The manager even said that in pre-season Rossiter was the stand out performer before his injury so I think there is scope for him to be given another chance this season and see where it takes us. His contract runs out next year (May 2020) and given that we paid £200-300k for him, its not a huge gamble to take, giving him a chance to prove his fitness and ability. In the games he played for us he was very good! Being injured isn’t a reflection on ability! The boy had a glittering career as a teenager and at youth level, but has been hindered by injuries, how anyone can say he is good enough/not good enough is beyond me as he simply hasn’t played enough games! However, in the games he played, he showed more than enough to suggest he can play at our level. How have you determined that he’s not good enough??? What do you mean if he looked like Jason Holt?! You are really suggesting that people look at Rossiter, somehow think he looks similar to Gerrard and therefore treating him differently?! As I said, I can see the sense in discussing it, but Hearts will have threads about injuries costing them, Kilmarnock about us signing Jones and Stewart being recalled, Aberdeen about lack of investment... Our own actions may have played a bigger part in some results than the other teams suffered, Morelos yellow at Ayr and missing the semi, players being sent off in important matches etc but it would have been interesting to see how they reacted with a period of sustained pressure. Of course they have won it, they have gained more points than we have... Its ok sitting there saying, last minute goals cost us against Aberdeen, Motherwell, Kilmarnock, but do you not think they are sitting saying the same thing? We always kicked into another gear the last few games of the season because we knew we had to win, if there was more of a challenge from us, they might have done the same. 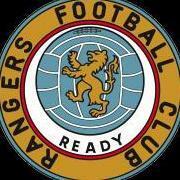 The threads all very good to discuss what might have been, but to say they haven't won it it just daft! He didnt have a bad game against Motherwell? He slipped for their first goal but other than that, he wasnt at fault for any of the other goals (both were Tav's fault). What a lot of nonsense... So whilst beating celtic at Ibrox and playing well, playing in all those European Nights, you think hes realising now the "enormity" of Rangers?! The guy has played 50 games for Rangers now, more than he has played in the last 6 years combined, but its the size of the club thats affecting him? More like hes running on empty!